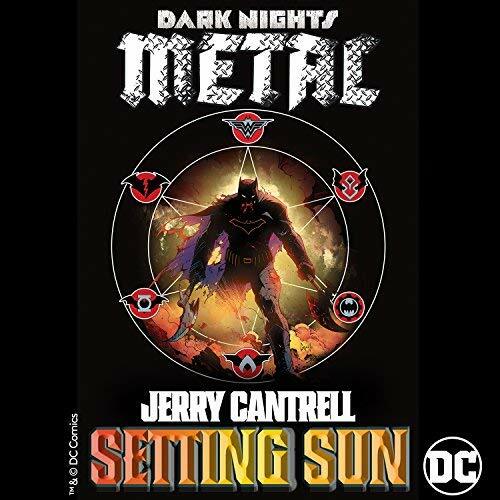 Alice In Chains guitarist Jerry Cantrell is streaming a new solo single, “Setting Sun”, in sync with the recent release of DC Entertainment's new graphic novel "Dark Nights: Metal: Deluxe Edition." Cantrell recorded the track in Los Angeles with producer Mike Elizondo (Twenty-One Pilots, Eminem) and film composer and former Marilyn Manson guitarist Tyler Bates ("Guardians Of The Galaxy Vol. 1 & 2", "Deadpool"). “Setting Sun” marks the fifth release in this series of singles inspired the DC graphic novels, following tracks by Mastodon drummer Brann Dailor (“Red Death”), Deftones frontman Chino Moreno ("Brief Exchange"), The Fever 333’s vocalist Jason Aalon Butler ("Fact Check"), and Maria Brink and Chris Howorth of In This Moment ("The Calling"). The "Dark Nights: Metal: Deluxe Edition" collects issues #1-6 of the "Dark Nights: Metal" monthly series and is written and drawn by the best-selling creative team of writer Scott Snyder and artist Greg Capullo. In the series, Batman has uncovered an ancient and evil mystery... One that could destroy the DC Universe. A Dark Multiverse has been revealed, full of devastating threats and vile creatures that have been loosed upon the DCU, with only The World's Greatest Super-Heroes rising to the challenge of defending it. Cantrell and Alice In Chains will release their sixth album, “Rainier Fog”, on August 24. The group recorded their first album in five years at studios in Seattle, Nashville and Los Angeles with producer Nick Raskulinecz. Alice In Chains will launch “Rainier Fog” with a North American tour that begins in Vancouver, BC on August 22.